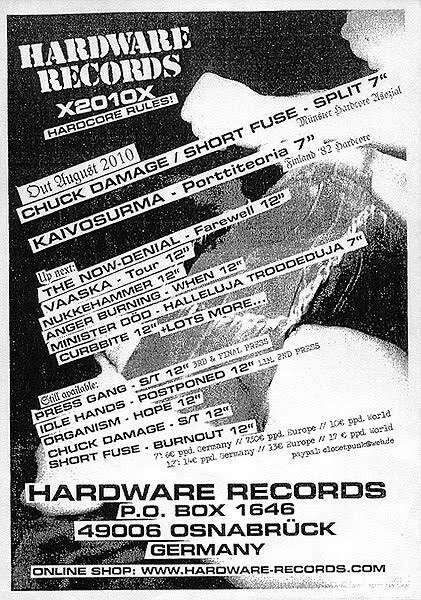 SOLAR FUNERAL news: NUKKEHAMMER - Demos 12"
Germany's Hardware Records will be releasing a Nukkehammer - Demos 12" shortly. This will include both the 'End It All Now' and 'Future Of Siberia' demo tapes. Production now in progress. Look for some 7"s soon after. 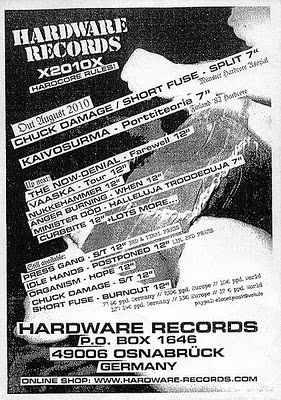 End It All Now Demo download (2008). The Future Of Siberia Demo download (2009).